Kelly Campbell became a member of Rehoboth in the fall of 2014. I love the way that Rehoboth focuses on missions, intentionally growing awareness of both local (community) and global opportunities. 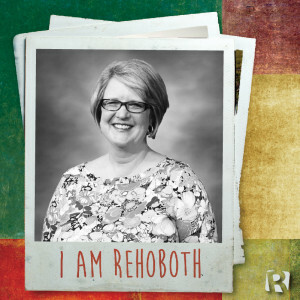 Rehoboth is full of welcoming people and there is a growing diversity in the membership. Kelly Campbell was born in Dumas, Texas and grew up in Stratford, Texas. Before moving to Decatur, she most recently made her home in California! Kelly is a Dean and the Library Director at Columbia Seminary. Kelly joined the Rehoboth family in the fall of 2014. She teaches the young ladies’ Bible Fellowship class, which currently meets in Room 206.